The very first gift package I received when I was in London through one of the lucky draws from the website of Yorkshire Tea. 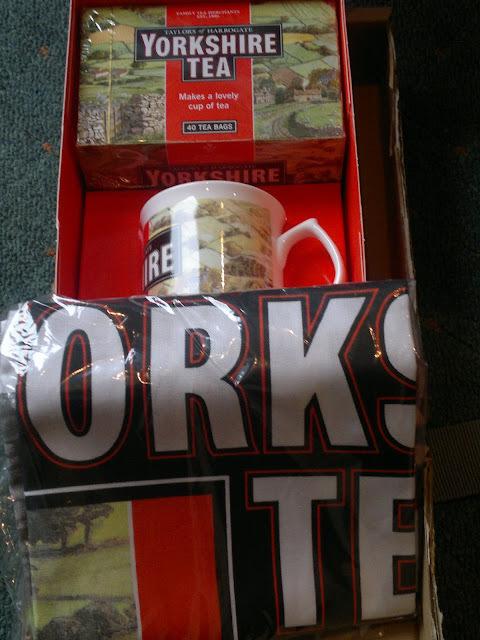 The package contains three goodies - A Tea Mug, 40 tea bags of original Yorkshire Tea and a Tea table cloth. 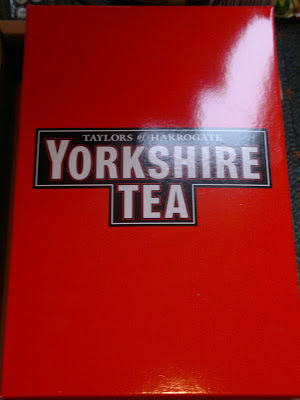 I still have this mug and really likes to drink a lot of Tea in it.